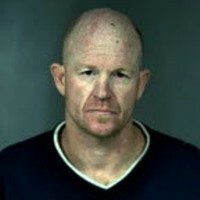 On 9-15-2012 at about 6:42 am, officers with the Eureka Police Department responded to a burglary alarm at Mr. Fish (2740 Broadway). Upon arrival, officers found a door of the business had been forced open and it appeared items had been taken. The business owner was contacted and requested to respond. While awaiting the owner’s arrival, officers deployed a K-9 to attempt to track the suspect(s). The K-9 led officers to the greenbelt area just northwest of Mr. Fish where they located, Shannon Lyn Hodgden (38 years old of Eureka). Hodgden was in possession of items believed to have been stolen from the business. The business owner later identified the items. Hodgden was taken into custody for possession of stolen property and probation violation. Hodgden in on active probation for theft related offenses. Hodgden was soon transported to the Humboldt County Correctional Facility and is being held on $25,000 bail. This is an ongoing investigation. Anyone with information regarding this matter is urged to contact Sergeant Patrick O’Neill at 707-441-4081 ext. 6.